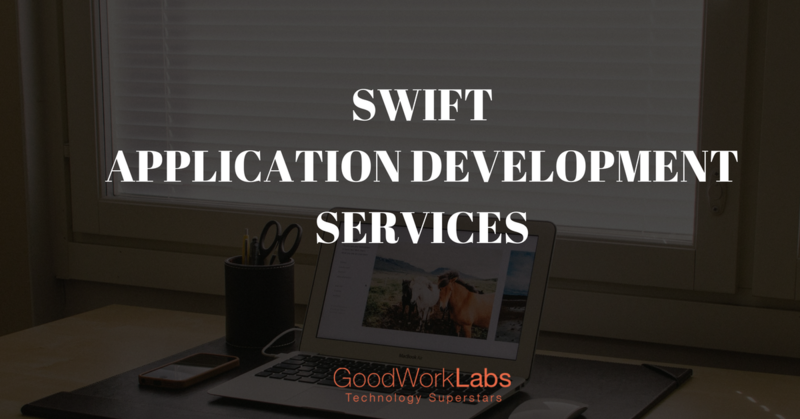 GoodWorkLabs is a result driven and an innovative development company offering cutting edge swift application development services for many clients across many industries. Our delivery methods make sure goals are delivered on time regardless of the complexity or scale. We provide best swift development service to business looking to create fast mobile or web application. GoodWorkLabs collaborates with you and creates Swift Mobile App Development Programs to convert your ideas into actions. We carry out competitive analysis and test the Swift mobile iOS apps for their usability, performance, compatibility, and functionality so that your business performance can be enhanced. To create a flexible, reliable, and stable app, we choose the right elements from the Swift framework. Our iOS developers help you out-perform the competition by leveraging the use of excellent and latest techniques. We assure delivery of your project on time, irrespective of its complexity. Our cost-effective Swift development solutions improve the satisfaction level and ROI of the client. Swift mobile apps developed by us help increase user engagement and productivity. We understand your business needs and offer mobile software compliance and security consulting. Whether you want to enhance the features of the existing app or add new features, our Swift developers will do it at affordable rates and in a short duration. Our Swift apps run faster, giving more responsive experience to the users. Why develop app using Swift Technology ? As suggested by its name, Swift is made to be swift. With a focus on performance and speed, the language was initially designed to outperform its predecessor. Over the years, multiple benchmarks and tests conducted by individual developers have proved that. Moreover, there are many ways to optimize Swift code for even better performance. We are passionate about the iPhone apps and their development. We ensure our apps succeed to their max potential in the market. We have excellent developers and designers, who design the user experience, user profiles, design flows, user stories and some world class developmental features. Contact us today for accurate and precise Swift Development Solutions.